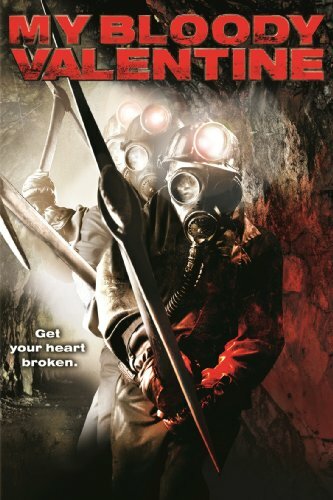 Los Angeles: Win A Pair Of Tickets To MY BLOODY VALENTINE 3D | Birth.Movies.Death. One must recall that prior to Avatar, 3D movies were fairly rare, especially for horror. Not counting animated stuff like Monster House, the last genre flick that had hit wide release was Freddy's Dead, and it was only like 15 minutes' worth of the movie! In fact, of the 374 3D releases tracked on BoxOfficeMojo (which tracks movies all the way back to about 1980), only about thirty of them came before My Bloody Valentine, most of which were either IMAX releases or family films. So seeing a full blown horror flick that would be presented start to finish with state of the art in your face tech was something I had never really experienced. And not just any horror flick - a remake of one of my all time favorite slashers! The original MBV is, in my opinion, a perfect melting pot slasher, offering both a boogeyman legend (Harry Warden!) and a whodunit in equal measures, doling out inventive kills but keeping the emphasis on suspense and characters you like (pour one out for my man Hollis). But I was not angry about this update like some fans tend to get - its existence paved the way for the discovery of the long-lost uncut kill scenes for the original, which was released to special edition disc right around the same time (crazy how this footage was thought to be gone forever only to turn up when there was a marketing opportunity!). So even if the remake was garbage, I'd give it some respect for at least getting that ball rolling. 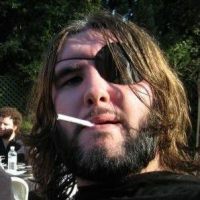 Luckily, it wasn't garbage at all - it was pretty damn good, in fact, with a plot that kept some basic elements from the original but largely told its own story, allowing old fans to get sucked into the new mystery and putting them on a level playing field with the folks who had never seen the original. Plus it brought Tom Atkins back to the big screen for the first time in ages, and the writers were smart enough to give him the film's best line (I don't dare spoil it, but he delivers it while framed in a heart made out of blood). And the 3D was used to great effect, which helped it become one of 2009's biggest horror hits and prove that R rated 3D was viable. So now that we're at the 10th anniversary of that successful release, Screamfest and I will be presenting the film on Tuesday, February 12th at the TCL Chinese 6 in Hollywood - want to win a pair of tickets to attend? This one's easy - just tell us about your favorite 3D horror kill or moment, from this or any of the other genre films that have assaulted our eyeballs over the years. Email [email protected] by Monday the 11th with your full name and answer, I'll be picking one then and letting the winner know that their tickets are on us. The screening is gonna be a blast too - in addition to the usual trivia prizes, the good folks at Fright Rags have supplied us with a selection from their brand new line of shirts inspired by the film. Plus, the first 50 people in line will get a full sized MBV poster, and I hear a certain miner will be prowling around for photo ops. Plus, we have a huge Q&A after the movie with screenwriter/co-star Todd Farmer, cast members Kerr Smith and Betsy Rue, and makeup FX whiz Gary Tunnicliffe, with possible others joining in as well (not Jensen Ackles, sadly - he will be filming Supernatural up in Canada at the time, d'oh!). If you don't win tickets, you can buy them here - they're 16 bucks and you get a free beer as long as you're 21+. Sound good? See you there!